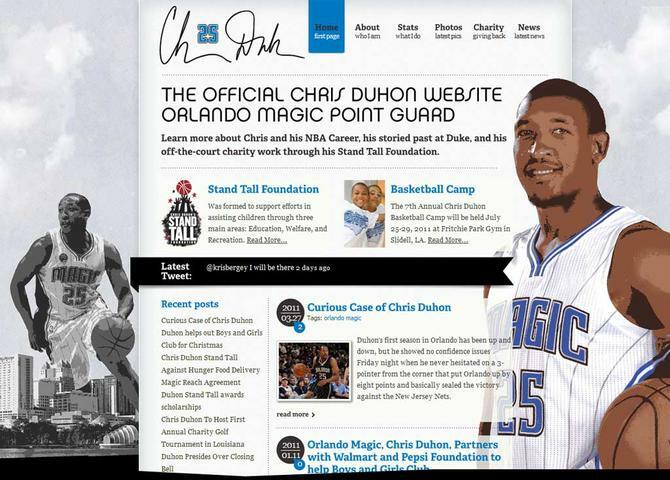 This is the official website of the NBA's Orlando Magic Point Guard Chris Duhon. Learn more about his NBA Career, his storied past history at Duke and his charity foundation, Chris Duhon's Stand Tall Foundation. Visit The Official Website of Chris Duhon.